The cottage is attached to the main house with a garden of 700 sqm. On the ground floor: living room with sofa, TV and fully equipped kitchen, a bathroom with shower. Outdoor terrace with garden furniture. Upstairs: a bedroom with a double bed and storage space. The peace and quiet for a very charming room. We have just returned from our first visit to this lovely gite. Francine and Gerard were very welcoming and the gite was equipped with everything we could possibly need. The location is great for enjoying the River Rance and the surrounding area, with easy access to main roads. Supermarkets are close by for all essentials and there are good restaurants not too far away. We would really recommend this gite and thank Gerard and Francine for their kindness during our visit. The owners were very friendly and helpful, the gite was very well equiped and exceptionally clean and well maintained. The bedroom was spacious and comfortable. The location was perfect for the Rance and Dinan and being situated towards the rear of the property was very quiet. Off road parking was another plus. Delightful Gite. Clean, comfortable and compact. Lovely gite and charming hosts. This is a great base for exploring the area on foot or bikes, which we took with us. Don't miss Dinan or the little port of Le Levet, just across Le Rance, great restaurant here. Happy days. My husband and I have just returned from a wonderful stay at this charming cottage. The property is very well equipped (coffee makers will love the Senseo coffee machine) and comfortable and the Francine and Gerard are marvellous hosts, providing us with many ideas for where to visit in the area in addition to all the information and books provided in the property. 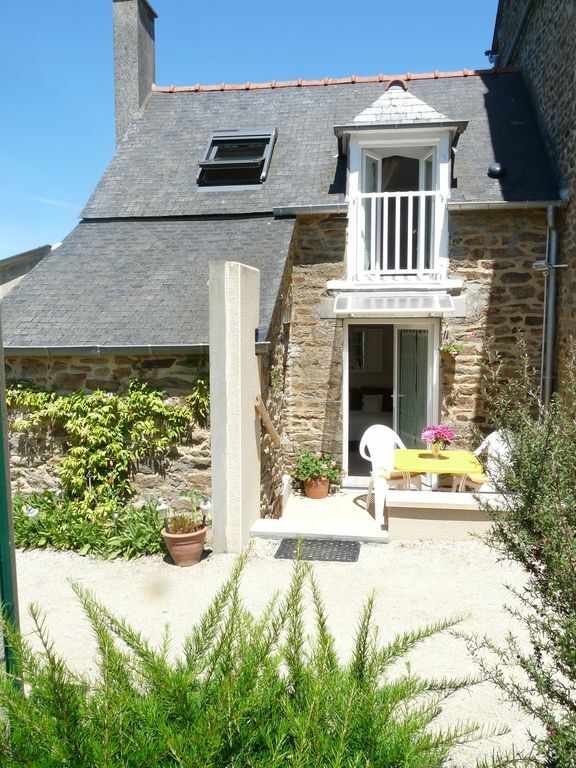 The cottage is very well located for visiting all the region has to offer including the beautiful medieval town of Dinan and Mont St Michel. It is also very near to cycle and walking paths routes along the river and the new dedicated cycle path up to the coast. Although we visited too late in the year for swimming it would make a great summer-time escape for swimming and sailing being close to the beaches on the coast as well as the lovely river-beach at the nearby chic village of St Suliac. Ce studio est très fonctionnel et agréable à vivre. Tout est pensé pour que l'on s'y sente bien et c'est réussi !! Quant à l'accueil de Francine (son mari était absent pendant notre séjour), il a pleinement contribué à rendre notre escapade bretonne superbe. Notre hôtesse a été pleine d'attentions à notre égard : petites douceurs à l'arrivée et au départ, conseils avisés sur la région, prêt de vélos qui nous a permis d'arpenter la voie verte vers Dinard et vers Dinan. Un grand merci à Francine. Nous reviendrons volontiers et conseillons fortement ce gîte ! c est toujours très agréable. Sympathique petit gite tout confort et très bien équipé., propriétaires très accueillants. Bords de la Rance à découvrir , de nombreux petits ports et de belles balades.